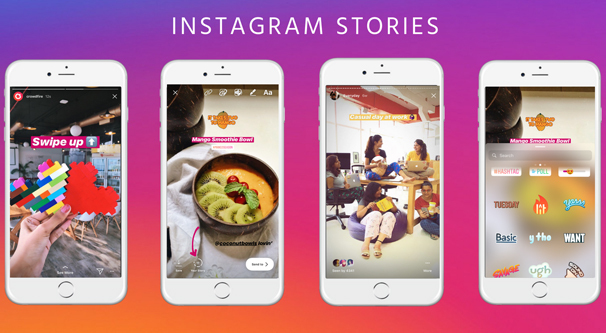 Blog > Instagram > What is The Ideal Sizing and Dimensions for Instagram Stories? When it first launched, Instagram was revolutionary in the worlds of both social media and apps. Sure, other photo-sharing sites existed, like Flickr. Other social media apps exists. Nothing had quite combined the two in the same way that Instagram did, and what’s more, Instagram limited themselves to mobile-only. 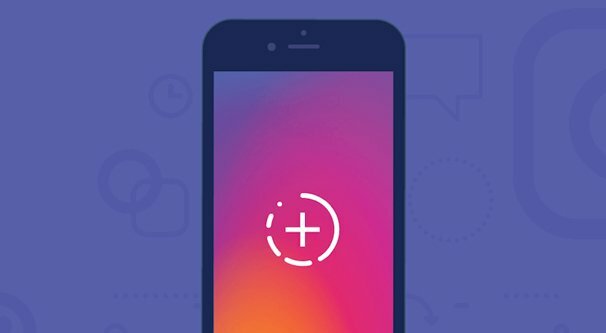 If you didn’t have a mobile device with an Instagram app installed and an account logged in, you were left on the sidelines. Over the years, before and after Facebook acquired the network, Instagram has been opening up. Gradually they allowed the network to be accessed from desktop platforms, and while some features are still app-only, it’s a much more accessible and available platform for all comers. That’s not to say that Instagram is removing everything that makes it unique. While some would argue that it is becoming more homogenized, it still has unique features that keep people coming back. One of those is Instagram Stories. 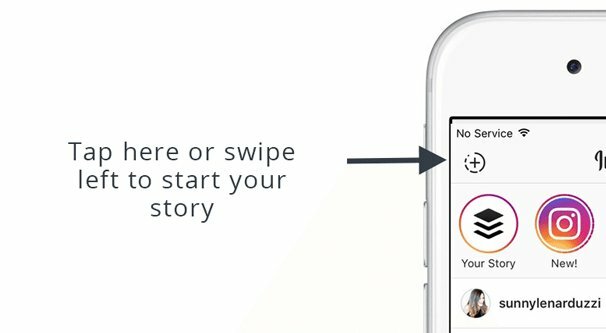 Stories are a feature Instagram introduced not long after Snapchat grew famous using something similar. At a glance, they might remind you of orders sent to James Bond; messages you can post that disappear entirely after 24 hours. Unlike orders to travel to a European country on the hunt for a terrorist leader, Instagram Stories tend to be short-lived announcements, compelling content, and timely offers. They can also contain either images or videos. It’s worth noting that, while other apps have used this concept, Instagram is one of the most successful. That’s why Facebook has been recently rolling out and pushing their own version of Stories, centered around Messenger just as much as their friends feeds. Stories work more or less like normal posts on Instagram, except they take over the screen when you tap to view them. You can see however much content the user posts in their story, whether it’s a single video or a handful of images, or a mixture of both. Unlike typical Instagram posts, there’s no way to like or comment on a story. The best you can do is send a message to the poster, and even that is going to be a private message. There are certainly reasons to do so, it’s not really what people typically do with stories. It’s no wonder why brands and influencers are starting to take hold of stories as a marketing technique. They work very well for announcements and temporary offers or sales, because they’re time-limited by nature and they’re impossible to engage with. Users have to live in the moment to claim what’s inside a story. It takes heavy advantage of FOMO, the Fear Of Missing Out. Anyone who wants to catch a glimpse of your story has to do it themselves, since they can’t be shared, saved, or otherwise accessed once their time limit runs out. The actual, mechanical process for creating an Instagram story is actually very easy. In the Instagram app, you’ll see a plus sign up in the corner of the screen. On the iPhone, it might be a small + inside a small circle. For Android, it’s a full circle with your avatar in it, with a smaller + next to it. Either way, when you tap it, Instagram will open your camera for you to take your photos or videos. You can do what you want at this point in terms of normal Instagram composition. Take your photos or your videos, add your filters, draw and add stickers or text, and whatever else you want. Since a lot of you want to add something more professional than some simple camera footage and some scribbles, you can also access recently taken content from your camera roll. When you tap to open the camera, swipe up, and it should allow you to access your recent content. Don’t forget that you can add and play with various stickers Instagram provides. Instagram and Facebook have a massive catalog of stickers that can be used in Messenger and in Instagram, and you can add them on top of your images or videos to spice them up a bit. Stories follow the privacy restrictions of your account, which should probably be open if you’re using stories as part of your marketing. You can also add in your geographic location through the stickers section to tag your location, for that added bit of boost. 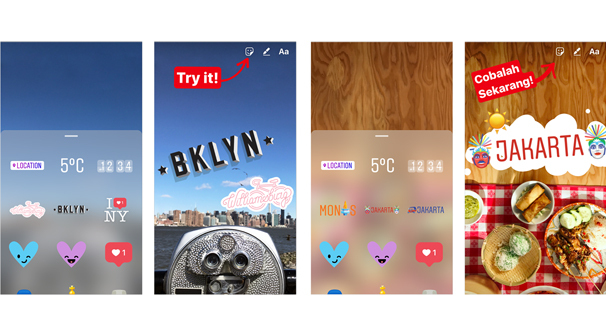 Stickers on Stories are more than just little graphics, though. Your location sticker is just one of many, and some are even interactive. The Poll sticker, for example, allows you to ask a simple question in a format where your followers can vote directly from the story, and you can see who voted and what their choice was. You can add a bunch of interesting stuff. I imagine, based on the title of this post, that you’re here looking for the specific dimensions for videos and images to include in your Stories. The fact is, standard phone portrait mode images and videos work just fine, regardless of the size of your phone. However, there are some technical dimensions, limitations, and instructions you can consider as well. First of all, the aspect ratio for Instagram stories is 9:16. If you remember that 16:9 is the traditional computer monitor widescreen format, imagine that turned on its side. In pixels, the Instagram story dimensions are 1080 x 1920. This is a fixed dimension, by the way. Anything too tall or too wide will be cropped down to size. Occasionally, Instagram will opt for a zoom instead, which can cause a loss of quality, particularly if your original format is much larger. The vertical orientation makes things a little tricky when you’re using a non-phone camera, in particular for video. It’s easy to rotate images and crop them to size, but it’s a bit harder to take video in a vertical format without having to do odd things in the editing. Instagram doesn’t mention anywhere in their help center any file size or file format restrictions, but I imagine that’s because they assume you’re taking your content with a camera phone, and most phone cameras are roughly the same, using MP4 and having fairly limited file sizes. Just keep that in mind when you’re creating content for Instagram on your PC or Mac. Stories, as mentioned, self-destruct after 24 hours. However, you are able to archive them and take a few other actions if you want them to outlive their intended usefulness. 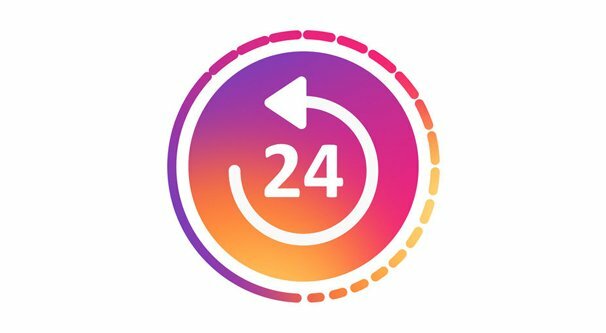 By default, stories are saved to your Story Archive on Instagram. You can turn the setting on or off in your Story Controls section of your Privacy settings. Stories saved to the archive are only visible to you, but if you delete a story before its time runs out, it won’t be saved. The story archive is a pretty useful little tool; it allows you to see what you’ve used in a story before, as well as the viewership each story received. You can use this as a way to replicate your past successes and avoid making the same story twice because you forgot you did it already. You can delete stories from the archive, if it’s getting too cluttered or you just don’t want it around anymore. You need to go to your profile and tap the archive button, which looks like a clock with a counter-clockwise arrow. Tap the story you want to delete, then tap the options dots and tap delete twice. It will be removed from anywhere you’ve kept it on Instagram. You can also keep your stories around in the public view for another round. There are a couple of things you can do. First, using that same rewind the clock button, you can tap an archived story and tap to share it. You can run the story as a story again, or you can share it with specific people. You can also create a Story Highlight. Highlights are posts or stories you’ve chosen to essentially pin to the top of your profile. They don’t disappear, even if the story has expired, and they’re up in a prominent position where new and returning users can see them. To add a story to your Highlights, you need to go to your profile and tap on your highlights, which is below your bio. Tap the + sign and choose the story you want to add to the highlight. Follow the prompts to add it, though you may be asked to choose a cover photo and a name for your story highlight. 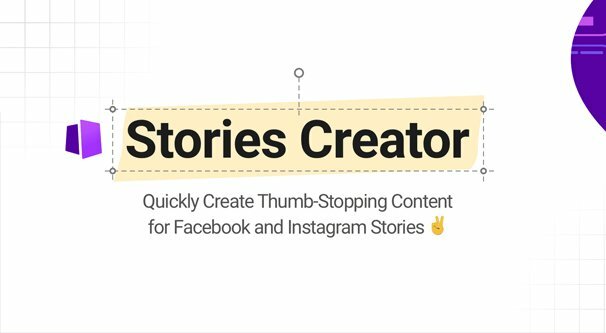 You can also create Story Ads using the Facebook ads system. Facebook has “Instagram” as a specific placement for ads, and Story ads are a subsection of Facebook Instagram ads. Story ads can be created through the Facebook ad system, and they have some more specific restrictions. Story ads appear in the middle of user stories, and can last up to 15 seconds on their own. People can take action on them for up to 60 seconds if they choose. Facebook recommends full 1080×1920 video with no letterboxing or black bars. They support a wide variety of file types, but they prefer H.264 compression for video, a fixed framerate, progressive scan, and stereo AAC audio compression at 128kbps or higher. If none of that means anything to you, don’t worry about it. Facebook also recommends that you leave around 250 pixels at the top and bottom of your video free of anything crucial. This is because that’s the amount of space typically taken up by the story navigation and by phone navigation buttons that overlay on top of content. Any logo, text, call to action, or any other crucial space will be obscured. Different ad placements have different video requirements, so check this chart for more information. You also cannot use video captions for story ads, and your file size needs to be under 4 gigabytes. You aren’t required to have audio at all. On the other end of the scale, there are minimums as well. Videos cannot be under 500 pixels wide, and have to be within 1% of the required aspect ratio of 9:16. All of this might sound like a lot, and it is, but you don’t necessarily need to know all of it to make a successful story. As I said, virtually every smartphone will take images and video in a suitable size and format, so all you need to do is put your photography skills to use. You can also consider using a third party tool to help you make your stories. Buffer has a Stories Creator that has a handful of different templates you can use to make stories for your feed. They don’t have many templates, but they can be customized with your own imagery and text, so it’s a fairly robust little tool. Snappa is a fairly good tool that has hundreds of thousands of stock photos you can use to make your stories, and over five thousand different templates to sort through. You’re limited on your downloads and your social accounts if you use their free starter version, but their paid version is only $10 per month, making it a great entry-level tool. It also integrates with Buffer, if you like the scheduling aspect. 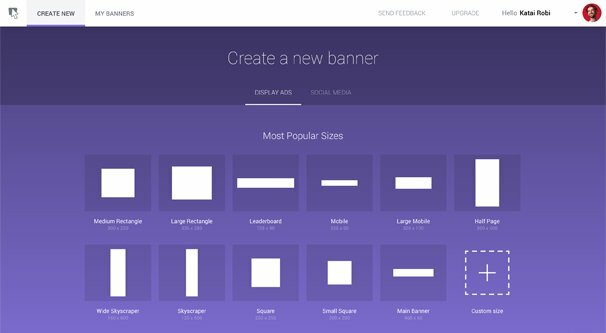 Easil is a drag-and-drop editor for visual content with a huge number of templates, including a lot for Instagram stories. Pricing is also quite reasonable. There are others as well. Canva can easily make Stories, at least the images, and you can always mix a template with a video you take on your own to create a multimedia story. Just find a tool that works for your workflow.